El Salvador's Foreign Minister Carlos Castaneda, left, and China's Foreign Minister Wang Yi stand together at a ceremony in Beijing to mark the beginning of diplomatic relations between the two countries on Tuesday. The move leaves Taiwan with one less ally. 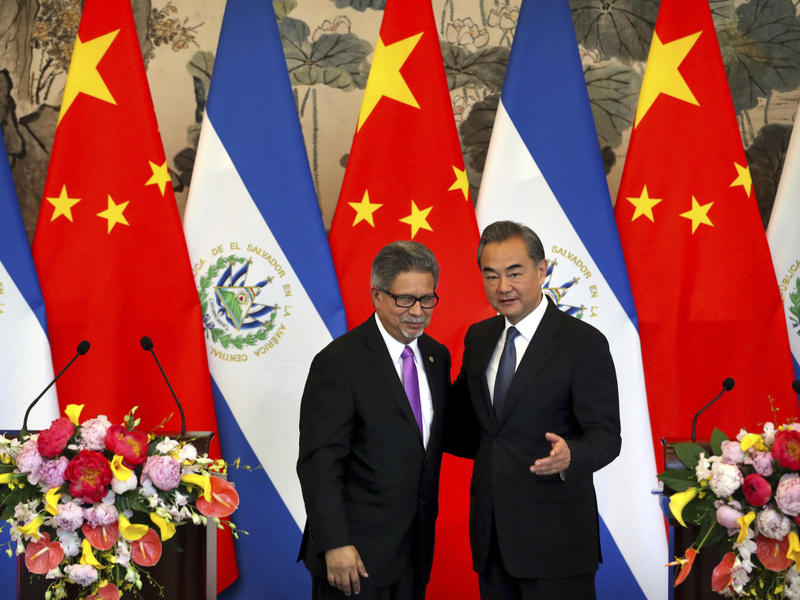 Taiwan lost another ally on Tuesday after El Salvador's president, Salvador Sanchez Ceren, reversed course on his country's diplomatic direction by establishing ties with Beijing. The move isolates the democratic island at a time when China has tried to weaken it on the world stage.